My name is Leah Shin and I am a rising sophomore undergraduate student at the University of Washington. I am track to double major in Business Marketing and Information Science with a concentration in Human Computer Interaction, and a minor in Entrepreneurship. My past year I have been currently involved in the Foster School of Business Lavin Honors Entrepreneurship Program where I hope to expand, Literacy for Love, an organization I established that has collected over $55,000 worth of books for English Language Learners and low-income families. Within Foster, I am also a Mentor-In-Training for the Young Executives of Color (YEOC) Program. Through YEOC, we directly mentor high school students across Washington State in professionalism and various business concentrations. Lastly, this past summer I have been working with T-Mobile’s Diversity & Inclusion team to establish and develop a phone application (Abroaden) to spread diversity and awareness of other’s culture. We are projected to launch our prototype by spring 2017. The LAGRANT Foundation Scholarship (TLF) has allowed me to dream— to dream my dream of confidently changing the world with the power of business, tech, and design as an Asian-American woman. It was through our conversations and networking with these professionals that fueled an insatiable desire to continue to work hard and do more every day. The friendships I built with the top 41 student scholars and leaders all across the nation had us learning from each other’s projects, experiences, failures, and dreams. I’ve made it my goal, to return to TLF as a professional where students are able to look up to and say, “I can do it too.” Thank you TLF for an experience of a life time and for believing in me. 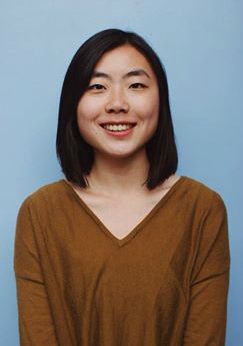 Leah Shin is a rising sophomore at the University of Washington, majoring in Business Marketing, Entrepreneurship and Information Technology and received TLF's undergraduate scholarship this year. Well i love Apple products, thats one great device i love. Straight forward as well as their product. I'll definately keep a look out for more posts like this but you can also Listen, enjoy and share one of the best mixtape, news and music download of 2018 Latest naija and Nigerian songs of all time. i derive joy whenever i read articles like this from such an online platform, this is a well written article and it deserves the attention by getting the latest news from Rivers state, Nyesom Wike and Rotimi Amaechi around the world. <a href="https://9jaletstalk.blogspot.com.ng/2018/04/girlfriend-stabbed-boyfriend-starved.html/">MORE OF THE STORY</a> Here..
Get Daily News And Event Coverage Updates! <a href="https:https://nigtube.com">Latest News, Entertainment Gist, Video and Music </a> Here..
You will Love this song FREE MP3 DOWNLOAD FULTHY BY JUSTIN TIMBERLAKEHere.. You will Love this song DOWNLOAD LATEST MUSIC, Mp3 Download Here.. You will Love this song DOWNLOAD LATEST MUSIC: Justin Timberlake – Filthy | mp3 Download Here.. YOU CAN GET YOUR FREE SCHOLARSHIP INTERNATIONAL SCHOLARSHIP Here.. You will Love this song Mp3 download site Here.. A Must Read For All Good Lover How to Find True Love: 20 Foolproof Lessons You Need to Learn Here.. Download New Album Download mp3 Album CAMILA CABELLO – CAMILA DEBUT ALBUM JAN 12 | MP3/Zip DOWNLOAD Here.. You will Love this song Mp3 download site Here.. Download New Album mp3 Album Download JUSTIN TIMBERLAKE – MAN OF THE WOODS | MP3 DOWNLOAD Here.. You will Love this song DAVIDO SONGS Mp3 download Here.. You will Love this song Justin Bieber and Selena Gomez Entertainment News Here.. Its Easy to Get How to Root Tecno Here.. Its Easy to Get How To Remove A Trojan, Malware, Worm, Virus Manually From Your System Here.. The only problem i have with foundation blogs more like Entertainment is that they tend to work towards secrecy and that's the major problem that is causing havoc in the world.